Rio de Janeiro has been chosen to host the 27th World Congress of Architects in 2020, an event that will for the first time give the host city the title of 'World Capital of Architecture,' with Rio beating the cities of Paris, France, and Melbourne, Australia. RIO DE JANEIRO, BRAZIL – This past Friday, January 18th, UNESCO’s Assistant Director-General for Culture, Ernesto Ottone Ramírez, along with the President of the International Union of Architects (UIA), Thomas Vonier, and the Municipal Secretary of the City of Rio for Urbanism, Verena Vicentini Andreatta, announced that Rio de Janeiro will be the first ‘World Capital of Architecture’ for 2020. Rio de Janeiro is home to works by many world-renowned Brazilian architects, such as Oscar Niemeyer, Roberto Burle Marx and Lúcio Costa, photo courtesy of Alexandre Macieira/Riotur. The event is scheduled to be held between July 19th and July 26th 2020, with an estimated 25,000 people coming to the city to attend the congress and surrounding events. “Through the range and quality of its activities, the World Capital of Architecture in Rio de Janeiro will demonstrate the crucial role of architecture and culture in sustainable urban development.” comments Ottone Ramírez. Rio de Janeiro will hold a series of events under the theme ‘All the worlds. Just one world.’ The newly named World Capital of Architecture is intended to become an international forum for debates about current and future global challenges in urban development, such as preservation of cultural heritage, increased mobility, public works, and the construction of inclusive cities. While UNESCO and the UIA, alongside local institutions, will organize activities to promote projects involving architects and urban planners as well as policy makers, social institutions and professionals from other sectors including artists and writers. “I think it’s amazing that Rio has been named the first World Capital of Architecture for 2020.” comments Charlie Jonas, of Rio Exclusive. “I mean if you look at Rio, people have the stereotypes of lots of favelas, but Rio actually has a huge amount of architects who have been very famous over the years.” He continues. He mentions their property Rio010, which was designed by Oscar Niemeyer, and penthouses made in the style of Niemeyer, such as Rio018. 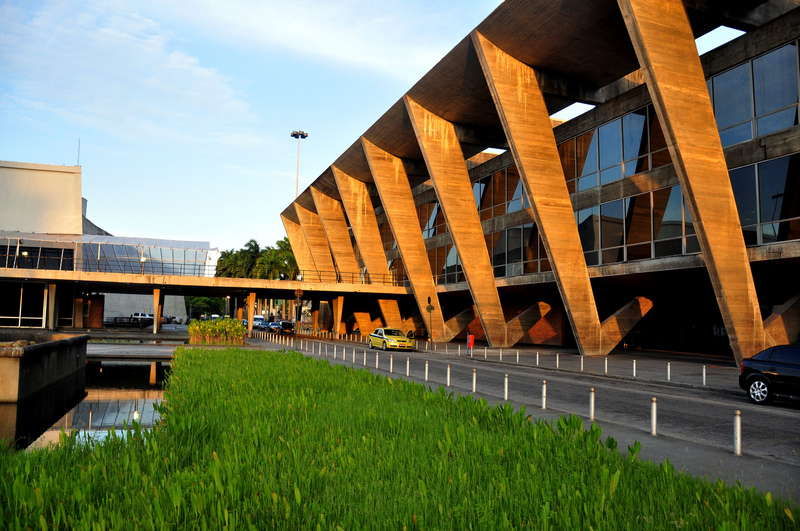 “I hope that we will be honored at Rio Exclusive to participate and showcase what Brazilian architects have been and are capable of doing.” Jonas concludes.